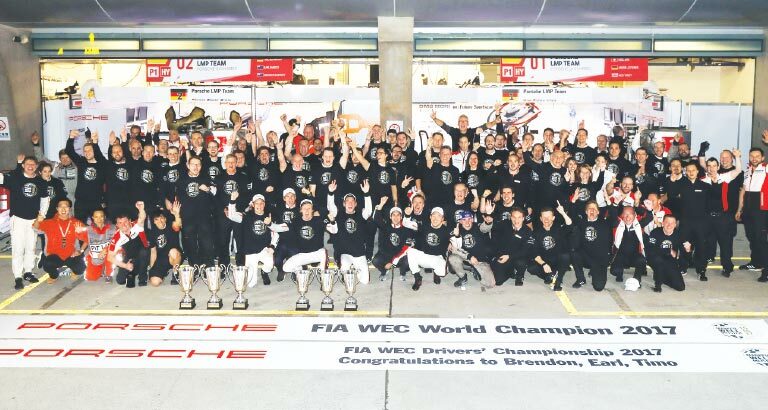 Porsche has crowned the 919 Hybrid’s career with a third consecutive Manufacturers’ World Championship title. A second and third place finish at the Shanghai six-hour race produced an early title decision at round eight of nine on the FIA World Endurance Championship WEC calendar. Earl Bamber, Timo Bernhard and Brendon Hartley clinched the drivers’ title. The Porsche 919 Hybrid has netted six world championships, three outright Le Mans wins, a total of 17 race wins including seven double victories, 19 pole positions and 12 fastest race laps from 33 races.